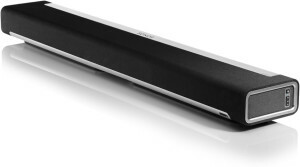 Home » Blog » How good are soundbars, really? How good are soundbars, really? A soundbar is a speaker/amplifier that is designed to replace the speakers in a TV. As TV’s have gotten smaller and thinner, there is no room for speakers, so the sound has decreased in quality as fast as the pictures have improved and price dropped on flat panel TV’s. There are a variety of soundbars for different situations, quality levels, and budgets. Some are stereo only devices, some have separate subwoofers for better base, others support simulated surround or actual surround sound. Assuming you chose the right product for your situation, you very much get what you pay for in terms of sound quality. The better soundbars are so good; they are far superior to the “home-theater-in-a-box” products that have tiny surround speakers. They are good enough that the low-end receiver/surround speaker market is being severely challenged. We rarely sell a surround audio system for under $3,000 as a soundbar from $900 to $2,200 will offer better value and often sound quality. The products we use are from Polk, Monitor Audio, and Yamaha, but our most popular and versatile are from Sonos based on the Sonos Playbar.